As you reflect back on your sales year ask yourself this: did my deal fall apart because my price wasn’t right? It might help to think of pricing as a recipe that calls for complex ingredients which make a signature dish if put together in just the right way. 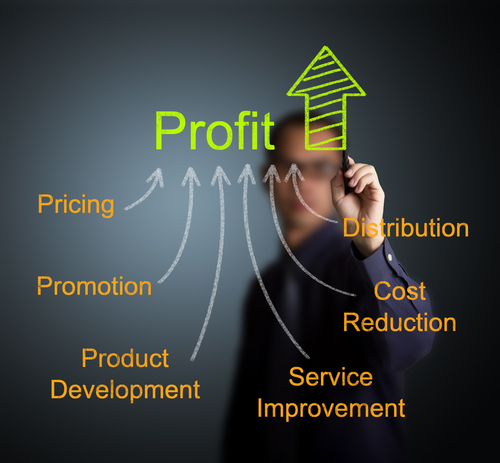 Most of the complexity in pricing comes from the following factors: you have to cover your costs, you have to be competitive, and you have to deliver value—all at a profit, because you want to stay in business and keep doing this. For startups, this is even more of a problem because they’re still working to establish their credibility in the market place. For them, coming in with a low-ball bid may mean winning the job, but they lose the profit war and set a dangerous precedent of being undervalued and possibly under-respected in the future. In fact, according to McKinsey & Company, 80 to 90% of all poorly chosen prices are too low. To keep up with today’s sophisticated consumers, sellers need top-notch pricing tools. That doesn’t mean that they need an expensive platform, but relying on homespun Excel spreadsheets and gut feelings isn’t going to cut it in most industries. A search for pricing models returns 61 million results on Google. A similar one for pricing tools returns 265 million. Big companies like IBM and Cisco have calculators and complex algorithms for you to customize. Feel more comfortable with your Excel? The key here is to take into account as many factors that will impact the price as possible: study your consumer’s behavior (whether you’re selling to B2B or B2C, trends emerge and they’re quantifiable), remember costs of customer acquisition, retention and churn; include marketing and merchandizing costs (adjust for seasonality); will you offer a loyalty plan or other discount; what are your distribution channels; are you paying yourself a salary; do you pay commissions; what about benefits? When you’ve done these calculations on your own, it’s time to get out of the office/your home/your co-working space and talk to some people. Ideally you’d want a cross-section of prospective customers and those who will never buy your product. The two groups will provide you with important insights about their share of wallet and willingness to buy. But just because they say they would spend money on your amazing [insert the name of your product here], doesn’t mean they will. Still, it’s key that you yourself speak with your target market. Outsourcing this research can get you good preliminary data, but it doesn’t replace the need to hear feedback with your own ears. You know your product better than anyone else. Therefore you’ll know how to ask follow-up questions—and tell the engineers you need tweaks—better than a third-party. Now that you know what it’s going to cost you to prototype and manufacture this product, and you have some initial feedback, have your walkaway price firmly in mind. It won’t do you, or your company, any good to close a money-losing deal. Finally, don’t discount the scrappy startup that anyone could be starting at any moment. Keep in mind that you’re hardly the only person to have this brilliant idea for your amazing product—even if you disrupted a major industry. So as you grow and celebrate your success monitor the trends in your sector lest you find yourself priced out of the market. Pricing is part art, part science with a dash of math and a pinch of intuition. Even if you got the recipe right the first time, it may come out only half baked the next time around. Like any good chef, the secret is in staying attuned to your ingredients, adjusting the heat of your oven and seasoning to taste.